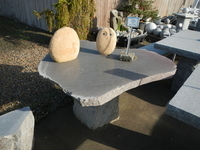 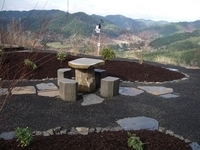 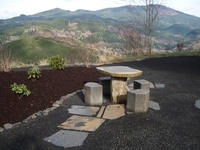 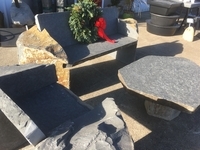 Quarried and crafted in British Columbia, Huckleberry Basalt Garden Furniture is at home in any landscape. 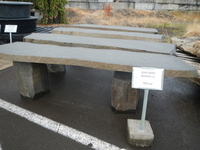 The color of the parent material is a steel gray with natural texture edges of mineralized tans & browns with moss and lichen. 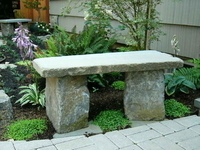 We always stock a generous selection of benches from 3-4" long and tables from 32"-48" in diameter. 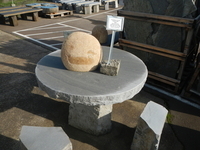 These items come in parts for less onerous transport while gravity plus the weight of the pieces themselves make them stable and secure when set in place. 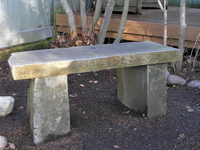 The components can be "epoxied" in place for extreme security in a public setting where safety, theft and vandalism are concerns.